Xiomi Mi 3 is having a Notification light beside the front camera with multiple colors to help set a particular color for a particular type of notification which will help the user is a huge way to know what notification is there without turning on the screen. 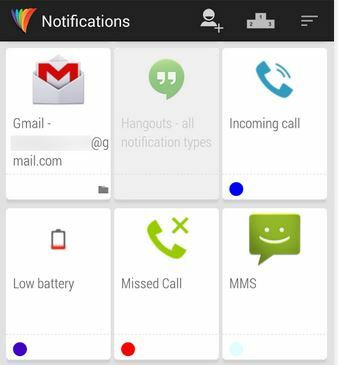 Many users have complained that the Notification light is working well for all other notifications like Messages, Facebook notification, Whats app notification, Mail etc but not showing when you have missed called in their Nexus 5, Xiaomi Mi 3 and Mi 4. So here I am going to show you a simple and Free App which will let you set specific color for a specific type of Notification and also for Missed calls. As there are no direct settings for setting notification light for different Apps in the MIUI OS interface it can be done only through Apps like the one which I am going to show you in the tutorial. And type in Search section “Lite Flow” or you can tap on the link mentioned above step 1 to directly take you to play store. It will take you to a page where all the Notifications for which the light can be set will be listed out and you can also select or specify certain light for a particular notification. Scroll through the list and search for Missed Call which will have a Red phone icon with a X on it, you can see that on the right side of the notification you can see the color of notification light and also if it is enabled it will show a tick mark. Tap on the Color with tick mark and you will get two options of Disable Notification and Settings, tap on settings and you have to check if the options are ticked or not to make sure that the notification is active in all situations. And that is it,now you can see that when you have a missed call and your screen is turned off the particular color which was set for a missed call will be glowing and you can do the same for many other notifications, like Low battery, messages, mail, MMS, no signal etc from the list of options available there.